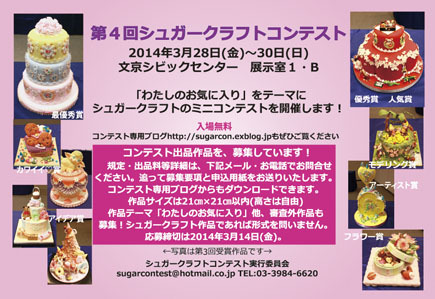 The 4th Sugarcraft Contest in Tokyo will be held in March!! The Contest will be held in Tokyo on 28th-30th March. Closing date for accepting application is 14th March 2014. Exhibits Works should be on the subject of "My favorites"
or could also send the works to the Center directly in the morining of the same date. 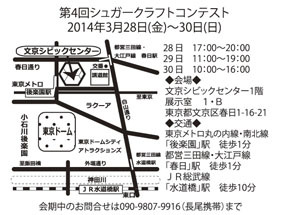 Entry fee is 3000yen for one exhibit. Futher information is available at our blog.